Motivational Interviewing is a directive, person-centered, guiding style for counseling clients to help them to make their own decisions about changing health behavior. This webinar will present the basics of MI, including the listening skills and ways of responding to clients to help them decide if, when and how they will change. Design a collaborative working relationship with the patient. Utilize the basic listening skills and effective responses in a conversation with a client. 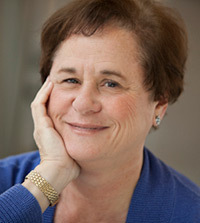 Ellen Glovsky, PhD, RD, LDN, is a member of the teaching faculty of Northeastern University in Boston, MA. Dr. Glovsky conducts workshops and consultations for a variety of organizations around the country on Motivational Interviewing. She is a member of the Motivational Interviewing Network of Trainers (MINT), the international professional group of MI practitioners and trainers. Dr. Glovsky maintains a private practice in which she offers treatment for eating disorders and chronic weight management issues. Ellen Glovsky, PhD, RD, LDN, has no relevant disclosures to report. She has certified that no conflict of interest exists for this program. View our disclosure policy.